[POLL] Have You Told Your Social Networks About Your Job Search? This poll was inspired by a recent survey. Have you told your social networks about your job search? If you’re reading this offsite, click here to vote. One of the interesting results of Jobvite's Social Job Seeker Survey 2011 was the above statistic. When you put these numbers together, you realize that either many, many people have still not begun using social media for their job search, or if they are, they're not yet getting results. One of the first steps in job searching with social media is to actually tell your social network that you're available. 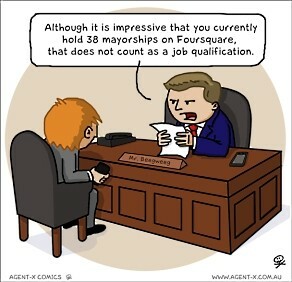 So what about you: if you're currently job seeking, have you told your social networks? After you vote, check out Goodbye Gatekeepers: Use Social Media To Target Hiring Managers.